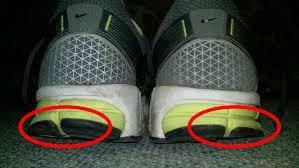 Have you ever noticed the heel of your shoe wearing out in a strange pattern? Maybe your shoes are worn out on the back outside edges? “So what?” you may be thinking. Shoes wear out. Yes, they do. But the problem is not the shoes. Shoes can always be replaced. The problem is, this may be a sign of poor function of the joints in your feet. This condition may also adversely cause pain and dysfunction in the joints in your ankles, knees, hips and even back. If the insides of your heels show greater wear than the outsides, odds are you are seeing signs that your feet are over-pronating when you are walking. Like a squeaky hinge, when your foot constantly moves in a pronation pattern, you’ll notice a looser, more prone to injury ankle. You might even notice a bunion or sore big toe and some knee or hip pain on that side of your body. If a doctor ever told you that you or your family member has flat feet, it’s important to note that flat foot syndrome is often a big factor determining if somebody will over-pronate. Some people experience no pain from having flat feet. However, flat feet can cause misalignment elsewhere in the body, leading to other problems like back pain or joint impingement. The problems arising from misalignments in the body may include: plantar fasciitis (pain in the heel), Achilles tendonitis, knee pain, shin pain, low back pain, bunions, corns and calluses. The feet may also tire easily. Flat feet (sometimes referred to as “fallen arches”) are not difficult to spot. It is a condition where there is either no arch or a very low arch to one or both feet. The inside of the foot is lifted off the ground in people with normal arches; whereas, someone with flat feet will have their entire foot flat on the ground. This can sometimes lead to over-pronation, in which the foot rolls over towards the inside. Flat feet are somewhat common, with approximately 20% of the population having them. They can occur at any age, and are sometimes due to a congenital problem. In adults, it is often caused by a lack of physical activity, or can be a result of obesity. Having flat feet can put a lot of stress on your ankles. If your feet are subjected to repetitive micro-trauma, such as when walking or running on hard surfaces regularly, you can sustain damage to the posterior tibial tendon (PTT). This tendon is responsible for keeping the arch in position. Other conditions that can weaken this tendon are pregnancy, arthritis and trauma or foot fractures. Many young children have what is called “flexible flat feet,” meaning that their feet are flat when standing, but if they rise up on their toes, the arch appears. These children will usually develop an arch as they grow into adulthood. If flat feet cause no pain and there is no evidence of other problems being created, there is nothing to worry about. If you are experiencing pain in your feet or other areas of your body that may stem from your flat feet, there are a few treatment options and recommendations. First, although it may be a good idea to get special orthotics for your shoes for support, it is equally important for your feet to get exercise. If your feet are constantly supported by orthotics, the muscles supporting the arch will atrophy even further. When you are at home, try to go shoeless as often as possible. And, if you are lucky enough to live near a beach, walking on sand is one of the best workouts there are to strengthen your feet. Also, avoid high-impact sports that may put a strain on your feet. If you are a woman, do not wear high heels. Besides the stress on the ankles, high heels negate the effectiveness of the arches in the feet and put considerable stress on your lower back. While you cannot change your anatomy, you can change the patterns of motion stemming from your muscles and joints. These parts of your anatomy are the powertrains and flexible glue of the body, that when functioning well, keep you moving energetically and feeling great. These are the areas where a chiropractor is skilled. Misaligned bones can contribute to painful conditions. Sometimes bone misalignment is the reason for secondary pain in areas such as the knees, hips and lower back. We perform specific and pain-free adjustments to realign the bones and restore proper motion where it has become restricted and painful due to your flat feet or from something else. These adjustments strengthen your body frame. Get access to our complimentary foot, ankle and knee evaluation. 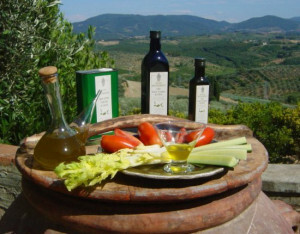 Many people have heard of the possible health benefits of the Mediterranean diet. But are these legitimate claims? Why should you actively try to eat a certain way when you might be following an unfounded fad diet which becomes time-consuming, expensive and more difficult than what you do already? What has been discovered recently is that although the health benefits of the Mediterranean diet have been boasted by anecdotal evidence and health gurus for years, it has now proven itself through science. What this means for you is that you can use this large scale study to ensure that you and your loved ones eat well so you live long, healthy, happy and productive lives. While a couple extra pounds will likely bum you out, what’s worse is it can start impacting the quality of your life from the inside out. Just a few extra pounds can create a greater degree of injury to your joints, and bad diet choices can slowly create physical exhaustion and dysfunction within your body. In our office, we ease the body pain from joint stress. One way to help yourself feel good is to maintain a healthy weight. Also read the facts below to learn more about how to get your diet right for the health of your heart and blood vessels. Researchers from the University of Barcelona performed a large-scale 5-year study that found those who follow a Mediterranean diet can reduce their risk of death from the effects of cardiovascular disease, such as heart attack and stroke, by 30 percent. The study, published in the New England Journal of Medicine, followed 7,447 people who had been selected to participate due to significant cardiovascular risk factors, including high blood pressure, diabetes, smoking, high cholesterol, a family history of heart disease and being overweight. The aim of the study was primarily to determine the effect of diet choice on health by considering and counting the number of heart attacks, strokes and deaths from any cause while it was conducted. These efforts were primarily to come to a conclusion about how effective the Mediterranean diet is in reducing catastrophic health events, and thereby increase longevity. They were to add fish and legumes to the menu at least three times a week. They were asked to substitute white meat for red and to limit processed meats and dairy products. If the participants drank alcohol, they were advised to drink a minimum of seven glasses of wine per week with their meals. Participants were also asked to reduce the amount of commercially baked goods they consumed to no more than three times a week. Participants in the low-fat diet group were to avoid eating nuts and any type of vegetable oil (olive oil included), cut off visible fat from meat and limit store-bought desserts to less than once a week. They were asked to eat three or fewer servings daily of a simple carbohydrate such as bread, potatoes, pasta or rice, and consume three servings of low-fat dairy products, as well as fruits and vegetables. No calorie limits were placed on any of the groups, nor were they encouraged to increase their level of physical activity. Those in the low-fat group had the most difficult time adhering to the dietary guidelines and most participants reverted to a standard Western diet, with a slightly lower fat intake. Those assigned to the Mediterranean diets were found to be not only 30% less likely to have suffered a stroke, heart attack, or died during the study, they were also 40% less likely to have suffered a stroke in the study’s 4-year follow-up period than those who were assigned the low-fat diet. Not only have low-fat diets been shown to not be of much benefit, but they are known to be difficult to maintain because they leave people feeling unsatisfied. You’ll be surprised how satisfied you can get from eating a meal minus much of the sugar, processed meats and bread. Healthy is created from the choices of what you put into your body as well as how well you treat and take care of your body on the outside. If it seems confusing to keep up with what dietary information to follow during the day, imagine how hard it is to look out for the everyday symptoms that indicate that the body is getting worn down. At our office, we help our clients keep pain away, heal injuries quickly and make sure their bodies keep moving like a well-oiled machine. Ask us about our complimentary body balance evaluation.